You Have a Winery in Idaho?! A few weeks ago Von and I attended a seminar at the Idaho Wine Commission called Shaping and Telling Your Idaho Wine Story. It was a wonderfully helpful 1.5 hours and the two presenters, Lisa Donoughe from Watershed Communications and Cole Danhower, a respected wine writer, were full of great information for us. So the take-away was: What’s our story? Everyone has a story, something compelling that makes people want to engage and learn more about them. 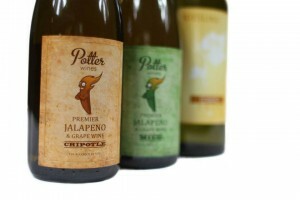 Jalapeno wine is a story, for sure. 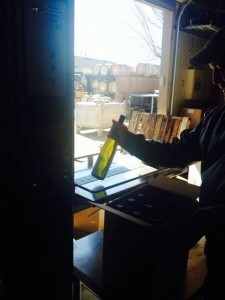 How we got started making it, though, is pretty simple and as much as I would love to tell you we stumbled upon it by accident (since there are so many tasters out there who can’t believe we’d ever purposefully make jalapeno wine) we very much knew what we were doing. Well okay, Von knew what he was doing. I was just watching him do it, being supportive and staying open minded (because yes, for those of you wondering, I did actually cringe when he told me he was going to make jalapeno wine). See here’s the thing: If you’re a wine lover like both of us are then you already know how intriguing wine is from both a science and taste profile perspective. There are so many ways wine can go, so many complex components that develop out of seemingly simple processes. I’m awed by how much I still don’t know, in fact. Von knows infinitely more than I do and he’s still learning new things all the time. We appreciate the wine industry and we can appreciate a $100 bottle of Del Dotto Vineyards Sangiovese from Napa Valley(seriously, that place is amazing and you MUST check out the wine caves if you go). But we also very much appreciate a $26 bottle of Split Rail Mourvedre from right here in our back yard (The District 44 Wineries are a quick jog from our front door step as well as from our own winery, but more on that later!). And while we’re being honest here, let’s just say we’re no stranger to the $10 two-in-1 bottle of Yellowtail Shiraz-Granache from the grocery store. When you drink as much wine as we do you slow the roll a bit on the wine budget, alright? 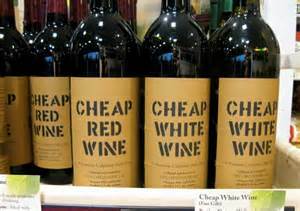 With all that said, wine can be seriously snobby. Not wine itself so much as the whole attitude circling it. I read Food & Wine magazine and want to start planning our next vacation to Spain, Chile, Tuscany, etc. And someday hopefully we will indeed go to those places. But then I remember that we’re working-class business owners, we’re busy parents, we’re not Kathy Lee Gifford with millions to invest in creating and marketing our wines. Why should we compete with people like that? Not to mention there’s plenty of delicious wine all around us. So let’s offer something different. Let’s make wine fun, interactive, open up conversations about it and in some instances unintentionally really annoy the ones who think wine has to be a certain way. So, here we are. We’re making spicy jalapeno wine! We’ve got this “rustic shack” winery we’ve created from the ground up, quite literally, and we’re prepared to do the work ourselves so that one day we’ve got the charming tasting room you might envision. But we won’t be doing it in a way that means we have nothing left to give to our children, our future, or our families and friends. There’s something very meaningful to us about building a legacy slow-and-steady instead of pushing a bunch of money at it, money we don’t have and won’t pretend to have. And for me there’s something exciting about being part of an industry that is about to explode locally. I love working with other like-minded business owners in the community and building friendships. I guess my idea of community service is giving the only way I know how and that’s through owning a business and offering people things they can’t get anywhere else. Von, by nature, is a do-er. He is a pro at troubleshooting – figuring out how things work and making them happen. Rather than throw tens of thousands of dollars at a bottling line, he’s the guy who will find out how to build his own by hand. That’s what he’s good at and what he loves. So that’s the story. It’s a simple one but it’s ours. And to answer the question: “What were you thinking?” We were and still are thinking that of all the directions the two of us have taken both separately and together, this is by far the most interesting one! We have some exciting things to release in the next 6 months – some of them on the conventional side and some follow suit of the red-headed-step-child side that is the jalapeno wine. I’ll be showing you both!